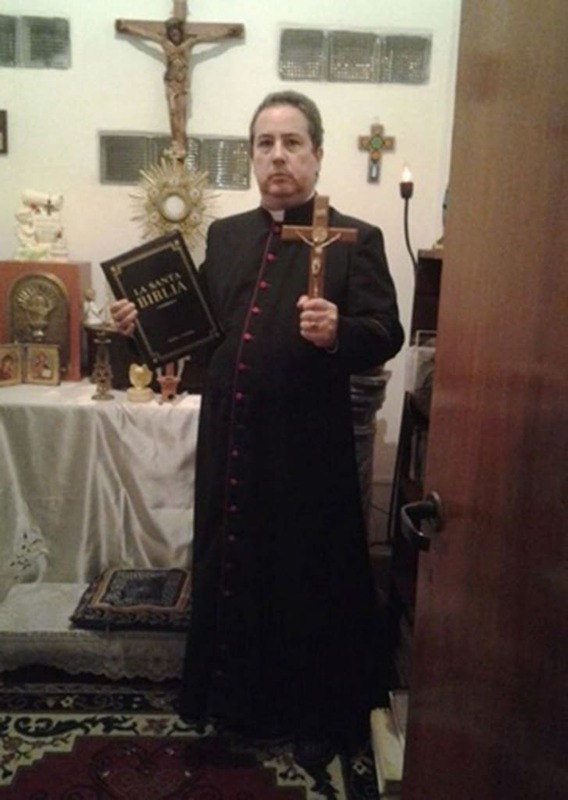 How local clergy sought to exorcise evil spirits of one Argentinian woman…. 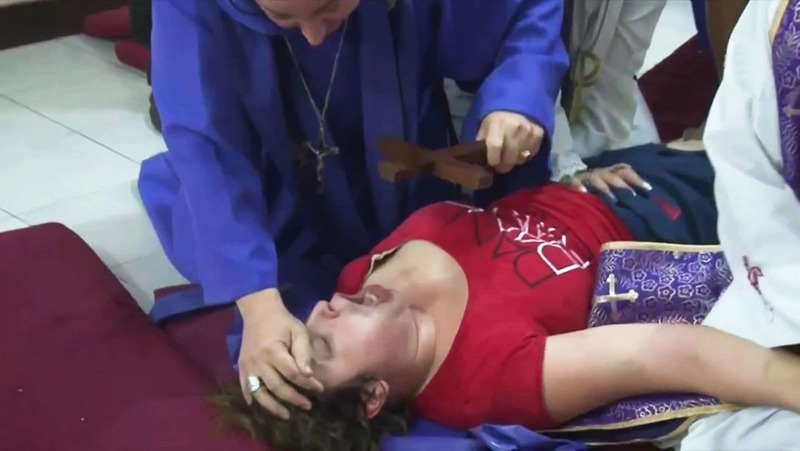 A video has emerged (see below) showing the exorcism of a screaming 22 year old Argentinian woman at the hands of Bishop Manuel Acuna, 52 of the Lutheran Charismatic Church. The video depicts the woman, identified only by her first name Laura as she is pinned down by the bishop as he seeks to drive evil spirits out of the woman. Continues the religious man: ‘He’s not an idea, he’s not a theory, he’s not something abstract. ‘The devil is a personality and therefore has a strategy. ‘We are talking about something terrifying, a fallen angel. ‘The devil is not a metaphor. ‘The devil is something real that Jesus Christ faced. 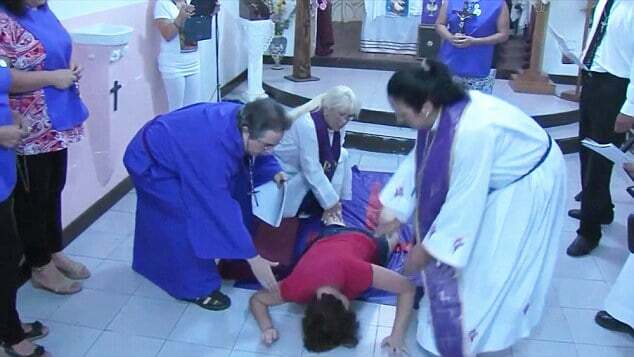 Led into a chamber, church helpers hold the woman to the ground as the bishop seeks to reclaim her soul. 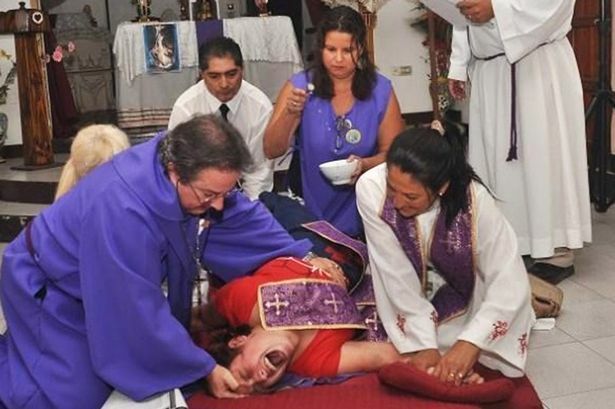 The exorcism comes to an end as Laura suddenly gives a strangled cry before closing her eyes falling backwards exhausted, wiping away tears as the priest once again makes the sign of the cross over her body. ‘You haven’t seen a major exorcism. ‘This was a group of demons similar to the ones that Jesus faced.